The Indian F&B retail market is expected to reach $ 915 billion by 2020. Dairy, beverages, bread & cereals, snacks and health are the fastest growing segments. The market for soft & alcoholic drinks is growing with 14% CAGR. Food processing industry is one of the largest industries in India is expected to reach a value of $ 482 billion by 2020. The Indian government will create a Dairy Processing and Infrastructure Development Fund worth US$ 1.2 bn. Additionally, 21 mega food parks are constructed across the country. The food processing sector in India received US$ 7.47 billion of Foreign Direct Investment (FDI) April 2000 – December 2016. The Confederation of Indian Industry estimates that the food processing sectors could attract up to $ 33 billion of investment over the next 10 years. Fi India & Hi 2019: Why Attend? Since 12 years, Fi India & Hi is the only dedicated sourcing platform for the food & beverage industry in India. Meet 250+ leading ingredient suppliers from 15+ countries. Fi India & Hi is all about new: new ingredients, new technologies & new services. 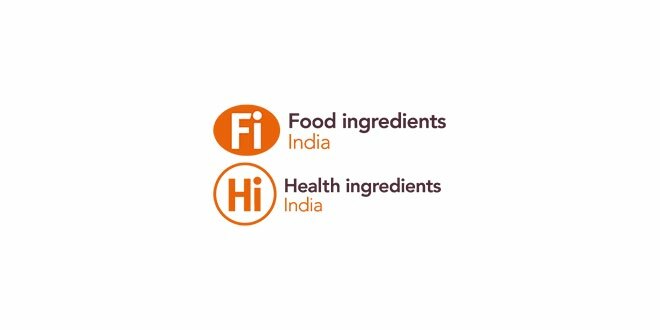 At Fi India & Hi you will find innovative food, functional and nutraceutical ingredients. Profile of exhibit based on Food Additives, Seasonings, Sweeteners / Sourness, Polysaccharide and Gelatinizing / Thickening & Stabilizing Agents, Emulsifiers / Solubilises, Flavors & Fragrances, Colors & Preservatives, Starch & Starch Derivatives, Antioxidants, Enzymes / Disintegrant / Binders, Lubricating Agents & Coating, Beauty / Anti-aging Ingredients, Organic Ingredients, Fermentation and distillation, Ingredients, Essential oils, Spices, Cereals and Pulses, Gaur Gums, Processing technology, Packaging technology and materials, Safety, Quality management, Operating materials, environmental technology, biotechnology, Refrigeration and air-conditioning technology, Conveying, transport and storage facilities, Components, Assemblies and surface technology. Visitors like Researchers & food technologists, Manufacturers and producers, Food and beverage retailers, Suppliers and distributors, Safety and quality professionals, Consultants and quality inspectors, Purchase officers, CEOs and senior managers from food and beverage manufacturing companies, CEOs and senior managers from nutraceuticals, dietary supplements and functional foods producers, Government & trade associations, Institutes and universities, Media and press.